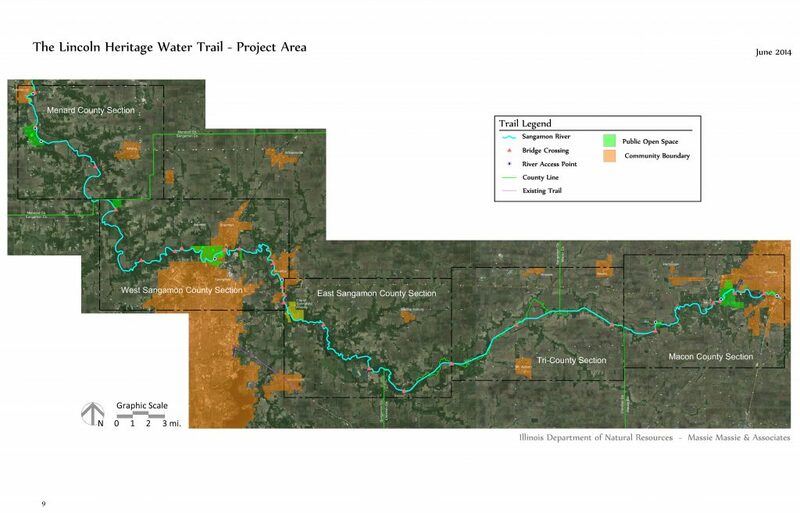 As a run-up to the 50-year anniversary of the Lincoln Heritage Canoe Trail designation, the Lincoln Heritage Water Trail study was released in 2015. The study addresses the 85 mile stretch of the Sangamon River that includes the original Lincoln Heritage Canoe Trail between Decatur and Petersburg. Winding through the relatively flat landscape of central Illinois, it collects the storm water run-off from more than 3,000 square miles of surrounding land. This watershed includes cropland, pasture, some forest and prairies, and several urban areas as well.